Aujourd’hui, je vous propose la lecture d’un excellent article de Martin Lipton* sur les nouvelles perspectives de la gouvernance en 2018. Cet article est publié sur le site du Harvard Law School Forum on Corporate Governance. Après une brève introduction portant sur les meilleures pratiques observées dans les entreprises cotées, l’auteur se penche sur les paramètres les plus significatifs de la nouvelle gouvernance. Les attentes eu égard aux rôles et responsabilités des administrateurs. À l’approche de la nouvelle année 2018, cette lecture devrait compter parmi les plus utiles pour les administrateurs et les dirigeants d’entreprises ainsi que pour toute personne intéressée par l’évolution des pratiques de gouvernance. While the future issues of corporate governance remain murky, there are some emerging themes that portend a potentially profound shift in the way that boards will need to think about their roles and priorities in guiding the corporate enterprise. While these themes are hardly new, they have been gaining momentum in prompting a rethinking of some of the most basic assumptions about corporations, corporate governance and the path forward. First, while corporate governance continues to be focused on the relationship between boards and shareholders, there has been a shift toward a more expansive view that is prompting questions about the broader role and purpose of corporations. 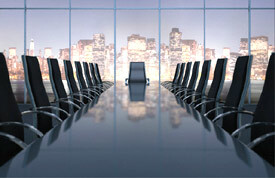 Most of the governance reforms of the past few decades targeted the ways in which boards are structured and held accountable to the interests of shareholders, with debates often boiling down to trade-offs between a board-centric versus a more shareholder-centric framework and what will best create shareholder value. Recently, efforts to invigorate a more long-term perspective among both corporations and their investors have been laying the groundwork for a shift from these process-oriented debates to elemental questions about the basic purpose of corporations and how their success should be measured and defined. While both sustainability and expanded constituency considerations have been emphasized most frequently in terms of their impact on long-term shareholder value, they have also been prompting fresh dialogue about the societal role and purpose of corporations. Another common theme that underscores many of the corporate governance issues facing boards today is that corporate governance is inherently complex and nuanced, and less amenable to the benchmarking and quantification that was a significant driver in the widespread adoption of corporate governance “best practices.” Prevailing views about what constitutes effective governance have morphed from a relatively binary, check-the-box mentality—such as whether a board is declassified, whether shareholders can act by written consent and whether companies have adopted majority voting standards—to tackling questions such as how to craft a well-rounded board with the skills and experiences that are most relevant to a particular corporation, how to effectively oversee the company’s management of risk, and how to forge relationships with shareholders that meaningfully enhance the company’s credibility. Companies and investors alike have sought to formulate these “next generation” governance issues in a way that facilitates comparability, objective assessment and accountability. For example, many companies have been including skills matrices in their proxy statements to show, in a visual snapshot, that their board composition encompasses appropriate skills and experiences. Yet, to the extent that complicated governance issues cannot be reduced to simple, user-friendly metrics, it remains to be seen whether this will prompt new ways of defining “good” corporate governance that require a deeper understanding of companies and their businesses, and the impact that could have on the expectations and practices of stakeholders. Against this backdrop, a few of the more significant issues that boards of directors will face in the coming year, as well as an overview of some key roles and responsibilities, are highlighted below. Parts II through VI contain brief summaries of some of the leading proposals and thinking for corporate governance of the future. In Part VII, we turn to the issues boards of directors will face in 2018 and suggestions as to how to prepare to deal with them. The primacy of shareholder value as the exclusive objective of corporations, as articulated by Milton Friedman and then thoroughly embraced by Wall Street, has come under scrutiny by regulators, academics, politicians and even investors. While the corporate governance initiatives of the past year cannot be categorized as an abandonment of the shareholder primacy agenda, there are signs that academic commentators, legislators and some investors are looking at more nuanced and tempered approaches to creating shareholder value. In his 2013 book, Firm Commitment: Why the Corporation is Failing Us and How to Restore Trust in It, and a series of brilliant articles and lectures, Colin Mayer of the University of Oxford has convincingly rejected shareholder value primacy and put forth proposals to reconceive the business corporation so that it is committed to all its stakeholders, including the community and the general economy. His new book, Prosperity: Better Business Makes the Greater Good, to be published by Oxford University Press in 2018, continues the theme of his earlier publications and will be required reading. Similarly, an influential working paper by Oliver Hart and Luigi Zingales argues that the appropriate objective of the corporation is shareholder welfare rather than shareholder wealth. Hart and Zingales advocate that corporations and asset managers should pursue policies consistent with the preferences of their investors, specifically because corporations may be able to accomplish objectives that shareholders acting individually cannot. In such a setting, the implicit separability assumption underlying Milton Friedman’s theory of the purpose of the firm fails to produce the best outcome for shareholders. Indeed, even though Hart and Zingales propose a revision that remains shareholder-centered, by recognizing the unique capability of corporations to engage in certain kinds of activities, their theory invites a careful consideration of other goals such as sustainability, board diversity and employee welfare, and even such social concerns, as, for example, reducing mass violence or promoting environmental stewardship. Such a model of corporate decision-making emphasizes the importance of boards establishing a relationship with significant shareholders to understand shareholder goals, beyond simply assuming that an elementary wealth maximization framework is the optimal path. Perhaps closer to a wholesale rejection of the shareholder primacy agenda, an article by Joseph L. Bower and Lynn S. Paine, featured in the May-June 2017 issue of the Harvard Business Review, attacks the fallacies of the economic theories that have been used since 1970 to justify shareholder-centric corporate governance, short-termism and activist attacks on corporations. In questioning the benefits of hedge fund activism, Bower and Paine argue that some of the value purportedly created for shareholders by activists is not actually value created, but rather value transferred from other parties or from the public purse, such as shifting a company’s tax domicile to a lower-tax jurisdiction or eliminating exploratory research and development. The article supports the common sense notion that boards have a fiduciary duty not just to shareholders, but also to employees, customers and the community—a constituency theory of governance penned into law in a number of states’ business corporation laws. Moreover, this theme has been metastasizing from a theoretical debate into specific reform initiatives that, if implemented, could have a direct impact on boards. For example, Delaware and 32 other states and the District of Columbia have passed legislation approving a new corporate form—the benefit corporation —a for-profit corporate entity with expanded fiduciary obligations of boards to consider other stakeholders in addition to shareholders. Benefit corporations are mandated by law to consider their overall positive impact on society, their workers, the communities in which they operate and the environment, in addition to the goal of maximizing shareholder profit. Notions of expanded stakeholder interests have often been incorporated into the concept of long-termism, and advocating a long-term approach has also entailed the promotion of a broader range of stakeholder interests without explicitly eroding the primacy of shareholder value. Recently, however, the interests of other stakeholders have increasingly been articulated in their own right rather than as an adjunct to the shareholder-centric model of corporate governance. Ideas about the broader social purpose of corporations have the potential to drive corporate governance reforms into uncharted territory requiring navigation of new questions about how to measure and compare corporate performance, how to hold companies accountable and how to incentivize managers. The meaning of sustainability is no longer limited to describing environmental practices, but rather more broadly encompasses the sustainability of a corporation’s business model in today’s fast-changing world. The focus on sustainability encompasses the systemic sustainability of public markets and pressures boards to think about corporate strategy and how governance should be structured to respond to and compete in this environment. Recently, the investing world has seen a rise of ESG-oriented funds—previously a small, niche segment of the investment community. Even beyond these specialized funds, ESG has also become a focus of a broad range of traditional investment funds and institutional investors. For instance, BlackRock and State Street both offer their investors products that specifically focus on ESG-oriented topics like climate change and impact investing—investing with an intention of generating a specific social or environmental outcome alongside financial returns. Similarly, the UN Principles for Responsible Investment remind corporations that ESG factors should be incorporated into all investment decisions to better manage risk and generate sustainable, long-term returns. Shareholders’ engagement with ESG issues has also increased. Previously, ESG was somewhat of a fringe issue with ESG-related shareholder proxy proposals rarely receiving significant shareholder support. This is no longer the case. In the 2017 proxy season, the two most common shareholder proposal topics related to social (201 proposals) and environmental (144 proposals, including 69 on climate change) issues, as opposed to 2016’s top two topics of proxy access (201) and social issues (160). Similar to cybersecurity and other risk management issues, sustainability practices involve the nuts and bolts of operations—e.g., life-cycle assessments of a product and management of key performance indicators (KPIs) using management information systems that facilitate internal and public reporting—and provide another example of an operational issue that has become a board/governance issue. The expansion of sustainability requires all boards—not just boards of companies with environmentally sensitive businesses—to be aware of and be ready to respond to ESG-related concerns. The salient question is whether “best” sustainability practices will involve simply the “right” messaging and disclosures, or whether investors and companies will converge on a method to measure sustainability practices that affords real impact on capital allocation, risk-taking and proactive—as opposed to reactive—strategy. Indeed, measurement and accountability are perhaps the elephants in the room when it comes to sustainability. Many investors appear to factor sustainability into their investing decisions. Other ways to measure sustainability practices include the presence of a Chief Sustainability Officer or Corporate Responsibility Committee. However, while there are numerous disclosure frameworks relating to sustainability and ESG practices, there is no centralized ESG rating system. Further, rating methodologies and assessments of materiality vary widely across ESG data providers and disclosure requirements vary across jurisdictions. Pending the development of clear and agreed standards to benchmark performance on ESG issues, boards of directors should focus on understanding how their significant investors value and measure ESG issues, including through continued outreach and engagement with investors focusing on these issues, and should seek tangible agreed-upon methodologies to address these areas, while also promoting the development of improved metrics and disclosure. As the past year’s corporate governance conversation has explored considerations outside the goal of maximizing shareholder value, the conversation within the shareholder value maximization framework has also continued to shift toward an emphasis on long-term value rather than short term. A February 2017 discussion paper from the McKinsey Global Institute in cooperation with Focusing Capital on the Long Term found that long-term focused companies, as measured by a number of factors including investment, earnings quality and margin growth, generally outperformed shorter-term focused companies in both financial and other performance measures. Long-term focused companies had greater, and less volatile, revenue growth, more spending on research and development, greater total returns to shareholders and more employment than other firms. This empirical evidence that corporations focused on stakeholders and long-term investment contribute to greater economic growth and higher GDP is consistent with innovative corporate governance initiatives. A new startup, comprised of veterans of the NYSE and U.S. Treasury Department, is working on creating the “Long-Term Stock Exchange”—a proposal to build and operate an entirely new stock exchange where listed companies would have to satisfy not only all of the normal SEC requirements to allow shares to trade on other regulated U.S. stock markets but, in addition, other requirements such as tenured shareholder voting power (permitting shareholder voting to be proportionately weighted by the length of time the shares have been held), mandated ties between executive pay and long-term business performance and disclosure requirements informing companies who their long-term shareholders are and informing investors of what companies’ long-term investments are. In addition to innovative alternatives, numerous institutional investors and corporate governance thought leaders are rethinking the mainstream relationship between all boards of directors and institutional investors to promote a healthier focus on long-term investment. While legislative reform has taken a stronger hold in the U.K. and Europe, leading American companies and institutional investors are pushing for a private sector solution to increase long-term economic growth. Commonsense Corporate Governance Principles and The New Paradigm: A Roadmap for an Implicit Corporate Governance Partnership Between Corporations and Investors to Achieve Sustainable Long-Term Investment and Growth were published in hopes of recalibrating the relationship between boards and institutional investors to protect the economy against the short-term myopic approach to management and investing that promises to impede long-term economic prosperity. Under a similar aim, the Investor Stewardship Group published its Stewardship Principles and Corporate Governance Principles, set to become effective in January 2018, to establish a framework with six principles for investor stewardship and six principles for corporate governance to promote long-term value creation in American business. A Synthesized Paradigm for Corporate Governance, Investor Stewardship, and Engagement provides a synthesis of these and others in the hope that companies and investors would agree on a common approach. In fact, over 100 companies to date have signed The Compact for Responsive and Responsible Leadership: A Roadmap for Sustainable Long-Term Growth and Opportunity, sponsored by the World Economic Forum, which includes the key features of The New Paradigm. Similarly, the BlackRock Investment Stewardship team has proactively outlined five focus areas for its engagement efforts: Governance, Corporate Strategy for the Long-Term, Executive Compensation that Promotes Long-Termism, Disclosure of Climate Risks, and Human Capital Management. BlackRock’s outline reflects a number of key trends, including heightened transparency by institutional investors, more engagement by “passive” investors, and continued disintermediation of proxy advisory firms. In the United Kingdom, The Investor Forum was founded to provide an intermediary to represent the views of its investor members to investee companies in the hope of reducing activism, and appears to have achieved a successful start. Similarly, in June 2017, the Coalition for Inclusive Capitalism and Ernst & Young jointly announced the launch of a project on long-term value creation. Noting among other elements that trust and social cohesion are necessary ingredients for the long-term success of capitalism, the project will emphasize reporting mechanisms and credible measurements supporting long-term value, developing and testing a framework to better reflect the full value companies create beyond simply financial value. There is widespread agreement that focusing on long-term investment will promote long-term economic growth. The next step is a consensus between companies and investors on a common path of action that will lead to restored trust and cohesion around long-term goals. The corporate governance conversation has become increasingly focused on board composition, including board diversity. Recent academic studies have confirmed and expanded upon existing empirical evidence that hedge fund activism has been notably counterproductive in increasing gender diversity—yet another negative externality of this type of activism. Statistical evidence supports the hypothesis that the rate of shareholder activism is higher toward female CEOs holding all else equal, including industries, company sizes and levels of performance. A study forthcoming in the Journal of Applied Psychology investigated the reasons that hedge fund activists seemingly ignore the evidence for gender-diverse boards in their choices for director nominees and disproportionately target female CEOs. The authors suggest these reasons may include subconscious biases of hedge funds against women leaders due to perceptions and cultural attitudes. In the United States, institutional investors are focused on a range of board composition issues, including term limits, board refreshment, diversity, skills matrices and board evaluation processes, as well as disclosures regarding these issues. In a recent letter, Vanguard explained that it considers the board to be “one of a company’s most critical strategic assets” and looks for a “high-functioning, well-composed, independent, diverse, and experienced board with effective ongoing evaluation practices,” stating that “Good governance starts with a great Board.” The New York Comptroller’s Boardroom Accountability Project 2.0 is focused on increasing diversity of boards in order to strengthen their independence and competency. In connection with launching this campaign, the NYC Pension Funds asked the boards of 151 U.S. companies to disclose the race and gender of their directors alongside board members’ skills in a standardized matrix format. And yet, similar to the difficulty of measuring and comparing sustainability efforts of companies, investors and companies alike continue to struggle with how to measure and judge a board’s diversity, and board composition generally, as the conversation becomes more nuanced. Board composition and diversity aimed at increasing board independence and competency is not a topic that lends itself to a “check-the-box” type measurement. In light of the heightened emphasis on board composition, boards should consider increasing their communications with their major shareholders about their director selection and nomination processes to show the board understands the importance of its composition. Boards should consider disclosing how new director candidates are identified and evaluated, how committee chairs and the lead director are determined, and how the operations of the board as a whole and the performance of each director are assessed. Boards may also focus on increasing tutorials, facility visits, strategic retreats and other opportunities to increase the directors’ understanding of the company’s business—and communicate such efforts to key shareholders and constituents. Despite the developments and initiatives striving to protect and promote long-term investment, the most dangerous threat to long-term economic prosperity has continued to surge in the past year. There has been a significant increase in activism activity in countries around the world and no slowdown in the United States. The headlines of 2017 were filled with activists who do not fit the description of good stewards of the long-term interests of the corporation. A must-read Bloombergarticle described Paul Singer, founder of Elliott Management Corp., which manages $34 billion of assets, as “aggressive, tenacious and litigious to a fault” and perhaps “the most feared activist investor in the world.” Numerous recent activist attacks underscore that the CEO remains a favored activist target. Several major funds have become more nuanced and taken a merchant banker approach of requesting board representation to assist a company to improve operations and strategy for long-term success. No company is too big for an activist attack. Substantial new capital has been raised by activist hedge funds and several activists have created special purpose funds for investment in a single target. As long as activism remains a serious threat, the economy will continue to experience the negative externalities of this approach to investing—companies attempting to avoid an activist attack are increasingly managed for the short term, cutting important spending on research and development and focusing on short-term profits by effecting share buybacks and paying dividends at the expense of investing in a strategy for long-term growth. support of its institutional investors against financial engineering. Trian’s recent proxy fight against Procter & Gamble shows the importance of proactively establishing relationships with long-term shareholders. Given Trian’s proven track record of success in urging changes in long-term strategy, Nelson Peltz was able to gain support for a seat on P&G’s board from proxy advisors and major institutional investors. We called attention to importantlessons from this proxy fight (discussed on the Forum here and here). Maintain a truly collegial relationship among and between the company’s senior executives and the members of the board that enhances the board’s role both as strategic partner and as monitor. *Martin Lipton is a founding partner of Wachtell, Lipton, Rosen & Katz, specializing in mergers and acquisitions and matters affecting corporate policy and strategy. This post is based on a Wachtell Lipton publication by Mr. Lipton, Steven A. Rosenblum, Karessa L. Cain, Sabastian V. Niles, Vishal Chanani, and Kathleen C. Iannone.